We hope you were able to see Chitty Chitty Bang Bang because it was truly scrumptious! 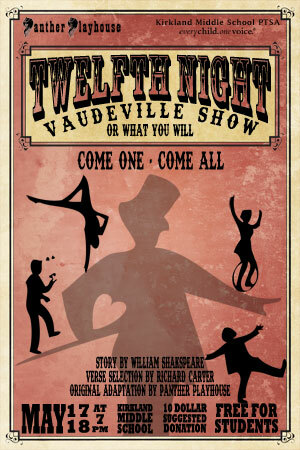 The next production will be an original musical adaptation of William Shakespeare's Twelfth Night. Thank you for supporting our students! Free for all current K-12 students. $10 for adults. All performances at Kirkland Middle School.